This is a sponsored post. I was compensated and given complimentary materials to use and review, but the opinions in this posts are 100% my own. I love the scents of fall, especially apple, pumpkin, and cinnamon. You can create a very welcoming, hospitable environment just by incorporating these smells. 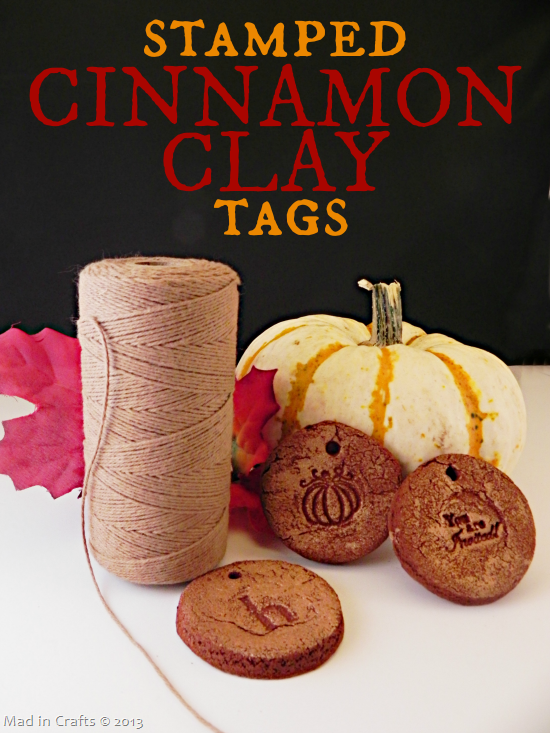 You can even add some Fall fragrance to your handmade gifts by attaching a cinnamon clay tag to your project. 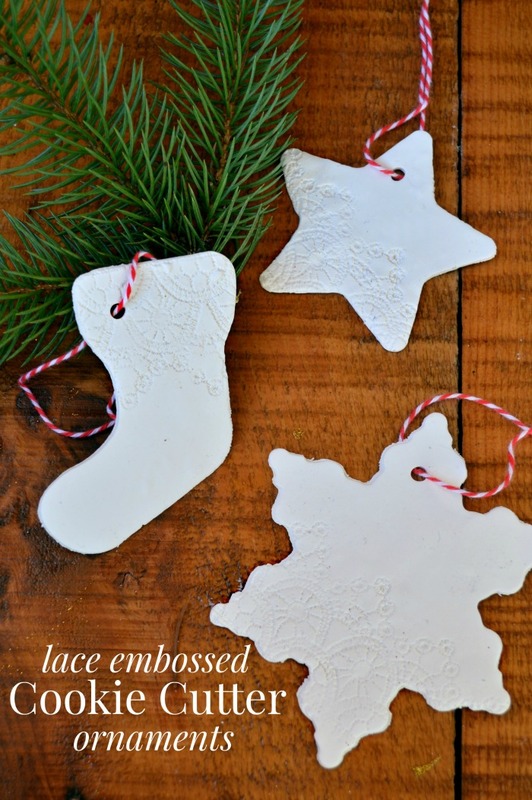 They are easy and inexpensive to make and will add a memorable touch to your gifts. Watch this short video to see how to create these beautiful tags, or scroll down for the step-out photos. Be sure to subscribe to my YouTube channel for creative videos twice a week! 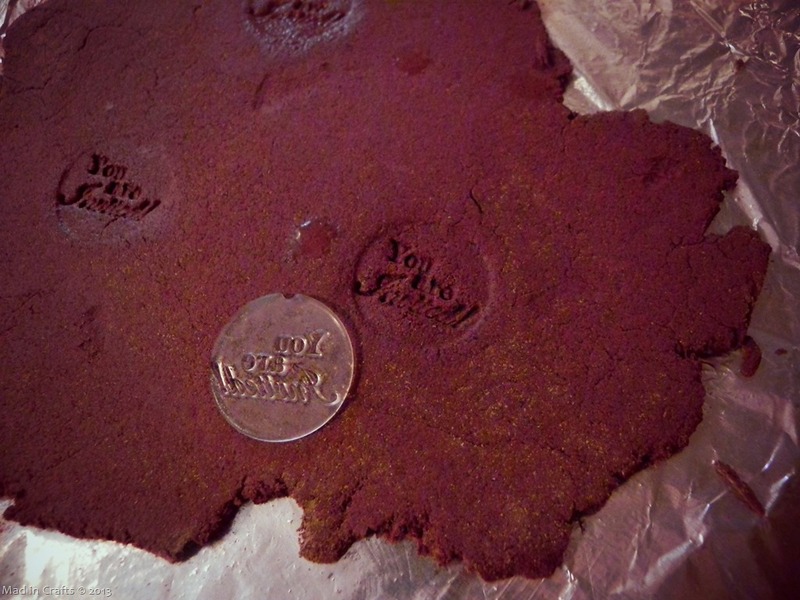 The PSA stamps make clear impressions in the cinnamon dough. Use the juice glass to cut out the circles and transfer them to a baking sheet. Use a straw to create a hole near the top of the tag. Bake them at 200 degrees for 2 hours, flipping the tags halfway through. Squeeze a tiny amount of metallic gold craft paint onto your finger, and burnish the surface of the tag with your finger. 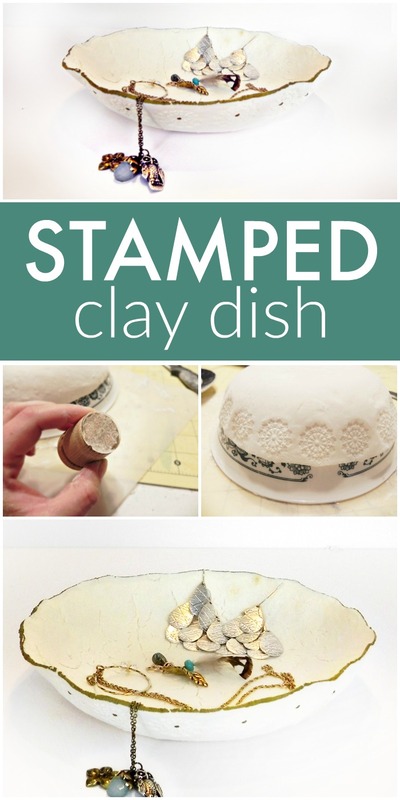 The paint will highlight the impression made by the stamps. 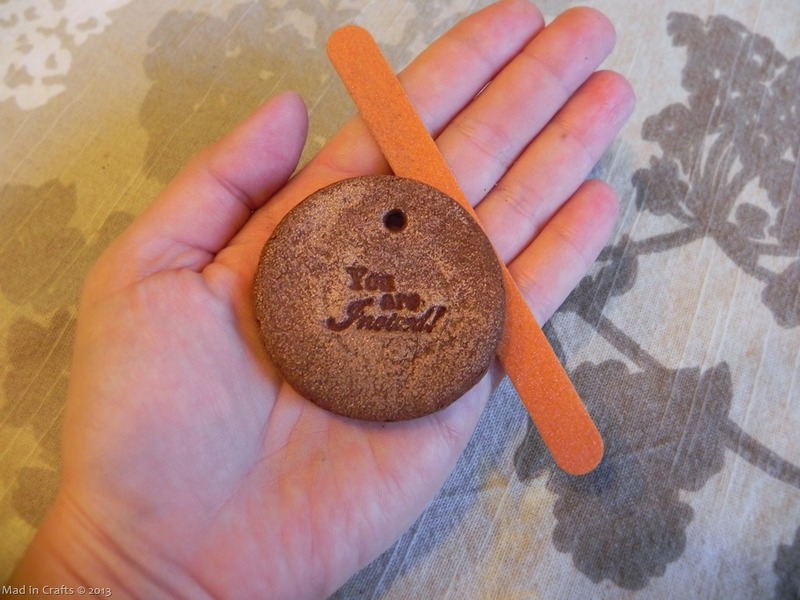 Take a nail file or piece of sandpaper, and smooth down any rough edges left on the tags. Cut a length of Twinery twine and loop it through the hole on each tag. 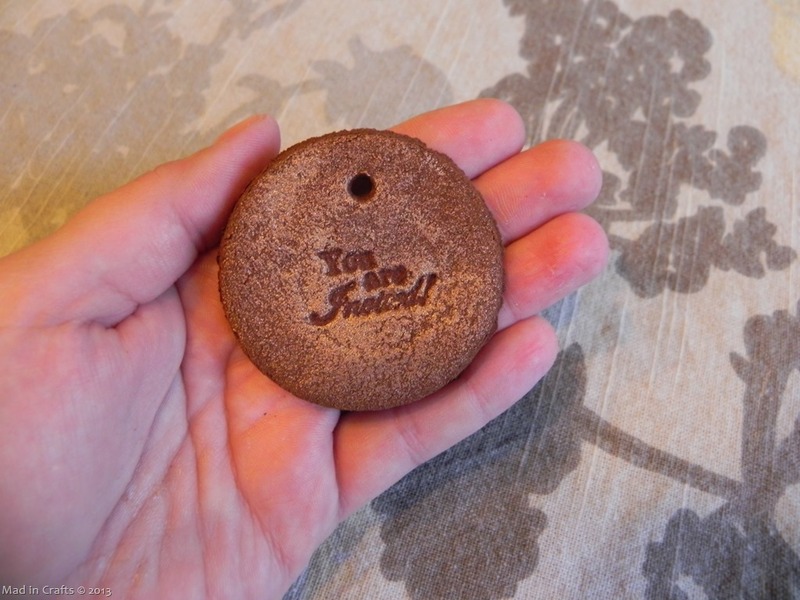 These tags are a lovely way to decorate gifts, invitations, or favors. 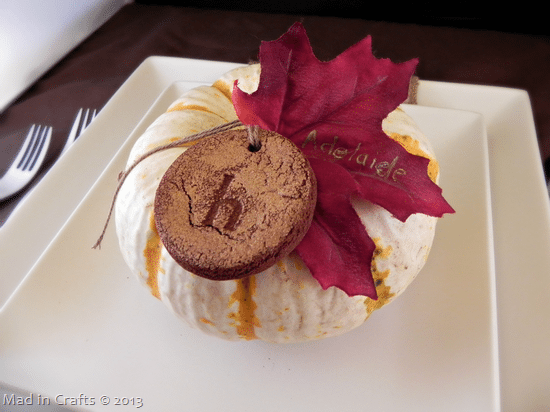 Attach monogram stamped tags to small pumpkins and they would make pretty and inexpensive favors at an autumn wedding. 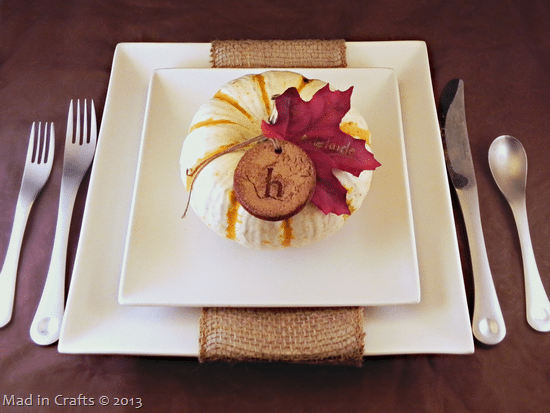 Each place setting would have that lovely cinnamon scent welcoming the guests! 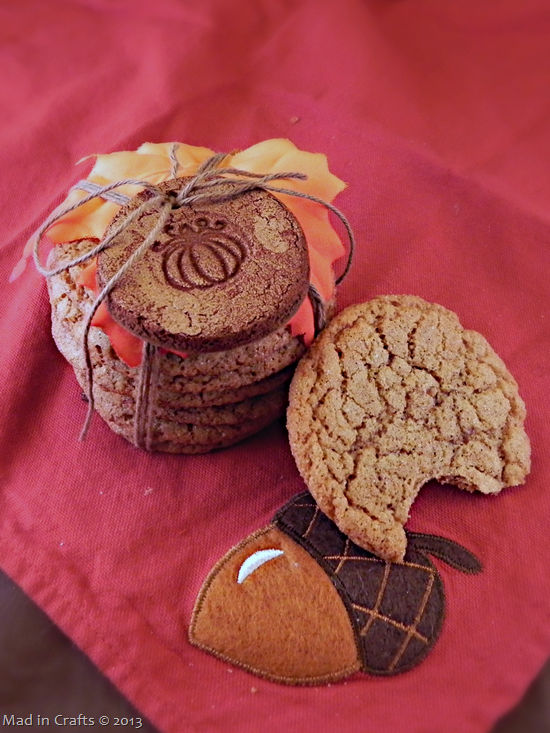 Here I added a tag to a bundle of Salted Caramel Brown Butter Snickerdoodles wrapped up with baker’s twine. The scent of the cinnamon clay hints at the tastiness of the cookies themselves.